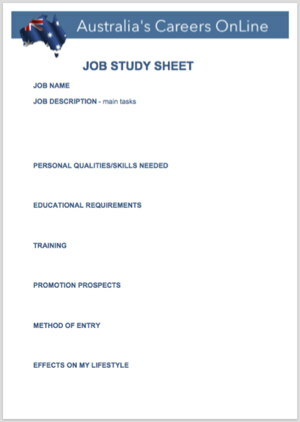 Download and print off our blank job study sheet. It’s an A4 size PDF document, with headings (as on the previous page) and space for you to record answers. For each job you are interested in, print off and complete one of these sheets as accurately and completely as you possibly can. 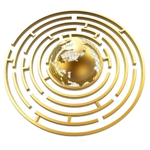 Use all the resources available to you! Careers books, pamphlets, internet, newspapers, libraries, people, etc. When done, think about the different sources of information you used. What were they? How useful were they? Could they have been more useful?